Questo sito utilizza i cookie per offrirti servizi sicuri e per migliorare la tua esperienza. Continuando ad utilizzare il nostro sito, acconsenti all'utilizzo dei cookie così come descritto nella nostra informativa sui cookie. How will we grow food in the future? Why is horticulture lighting important? The world’s population is growing. The available farmland is diminishing. The urbanization is increasing, and with it the transportation distances and expenditures. The ability to provide enough food will become a challenge in the next 30 years. Traditional agriculture will not be able to provide the people in future cities with enough healthy nourishment. We are in need for new and better systems to meet the food supply demand. Urban farming and indoor vertical farming are very good examples of such solutions. Growing tomatoes, melons, lettuce and the like in the midst of big cities, and these plants will need to be fed as well, primarily with water and light. Compared to conventional agricultural solutions, urban farming achieves significant increases in energy efficiency and can, thus, help vegetable and fruit cultivation in the metropolises of the world to become viable. Horticulture lighting is used to support, increase and enable the growth of plants by illuminating them with artificial light. LED Light is a very efficient way and upcoming solution for this application! The world’s population is growing. The available farmland is diminishing. The urbanization is increasing, and with it the transportation distances and expenditures. The ability to provide enough food will become a challenge in the next 30 years. Traditional agriculture will not be able to provide the people in future cities with enough healthy nourishment. We are in need for new and better systems to meet the food supply demand. Urban farming and indoor vertical farming are good examples of such solutions. We will grow tomatoes, melons, lettuce and the like in the midst of big cities. These plants will need to be fed primarily with water and light. Compared to conventional agricultural solutions, indoor farming achieves significant increases in energy efficiency and can, thus, help vegetable and fruit cultivation in the metropolises of the world to become viable. We work with researchers and growers at the forefront of the controlled-environment agricultural revolution to provide products and systems that optimize crop development. Key to find the best light recipes are self-learning software algorithms that create and optimize digital plant models in order to cultivate tailor-made salads, herbs, vegetables and fruits. People want fresh and nutritious vegetables, beautiful floral arrangements, and fragrant herbs all year round, possibly even at the touch of a button with the latest trends in e-commerce. Fortunately, the art and science of growing plants is evolving with new digital and smart technologies for vertical farms, hydroponic greenhouses, and small gardening systems, enabling the optimization of crop development and farms to sprout in big cities and even in people’s homes. Ongoing light research, sensor technology, and cloud computing allow horticulture professionals to meet the increasing demands of today’s consumers, and provide everything from LED grow lights to complete solutions. Commercial horticulture by Fluence Bioengineering, Inc.
LED-based solutions from Fluence help growers meet their yield and sustainability goals by increasing harvests up to 25 percent, reducing energy costs by as much as 50 percent and, through the targeted use of light, improving the quality and nutritional content of plants. 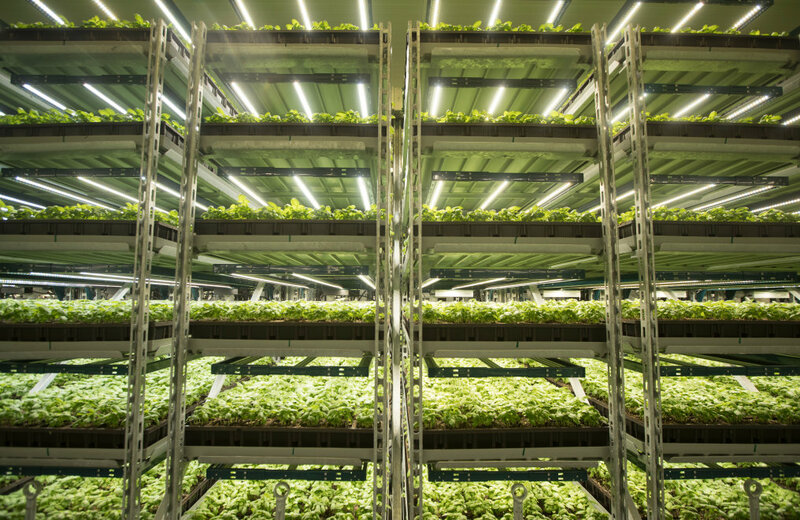 What if all of New York’s annual lettuce consumption was produced in local vertical farms? 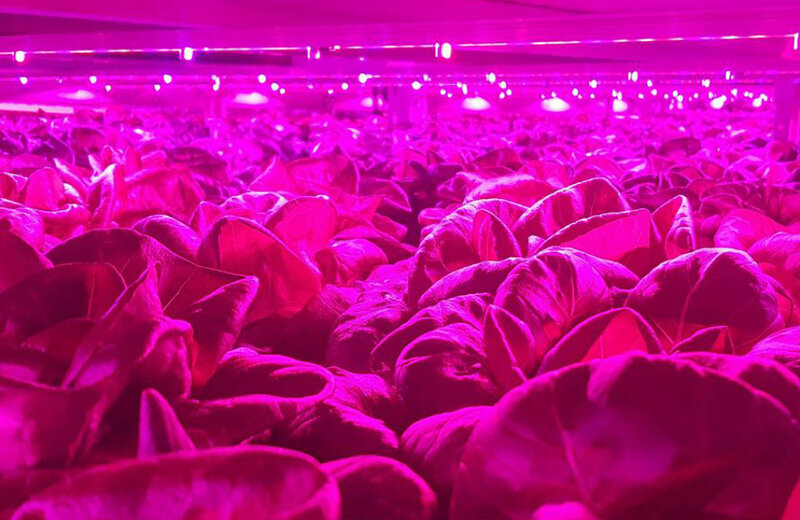 - OSRAM developed a special application study for New York and examined four different technology scenarios regarding lettuce production. The calculation of the environmental and socio-economic impacts of the four scenarios was done together with KPMG using established monetization approaches. 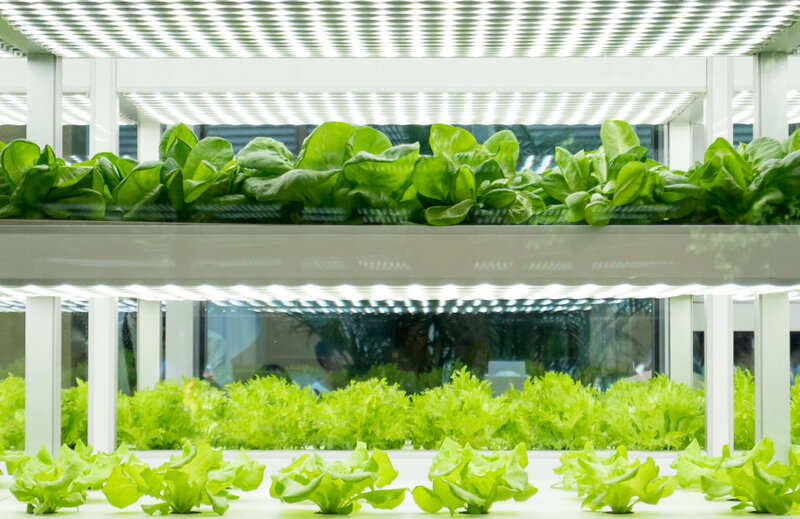 The result is clear: Compared with open-field farming, vertical smart LED farms make the biggest positive contribution to society: A total of €322 million could be saved, if all citizens of New York City consumed lettuce produced in LED vertical farms. Annually! 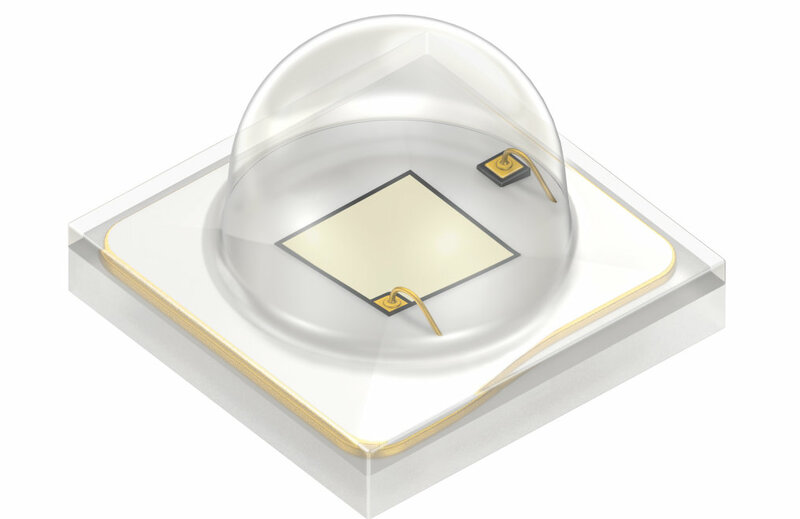 OSRAM Opto Semiconductors offers a broad Horticulture LED portfolio for 450 nm (deep blue), 660 nm (hyper red) and 730 nm (far red). Our OSLON® family includes the important wavelengths in three radiation angles 80°, 120° and 150° to support provide the perfect lighting for all types of plants and flowers, allowing to adapt the light exactly to the needs of various crops. * Bonus: Application note "LEDs for horticultural lighting applications"
© 2019, OSRAM GmbH. Tutti i diritti riservati.